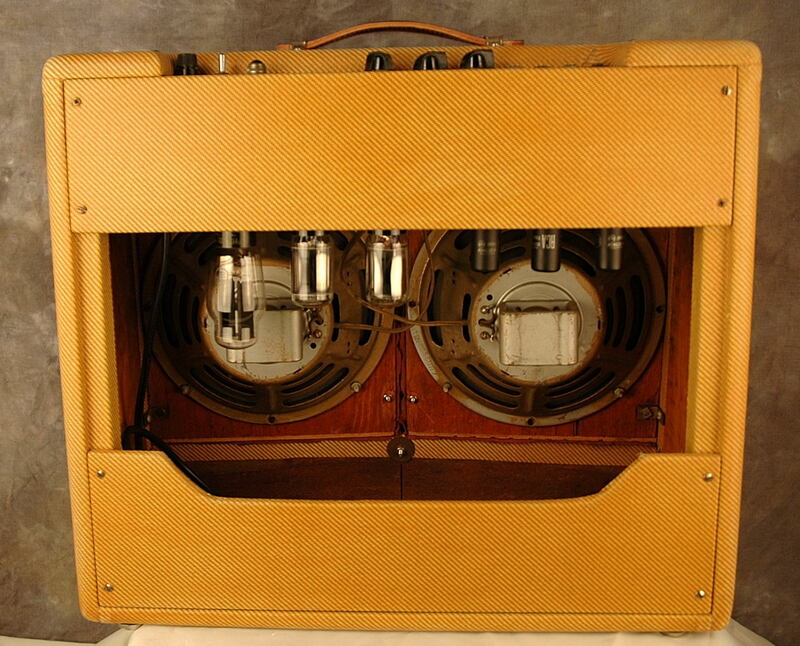 1948 Dual Professional Super Amp. 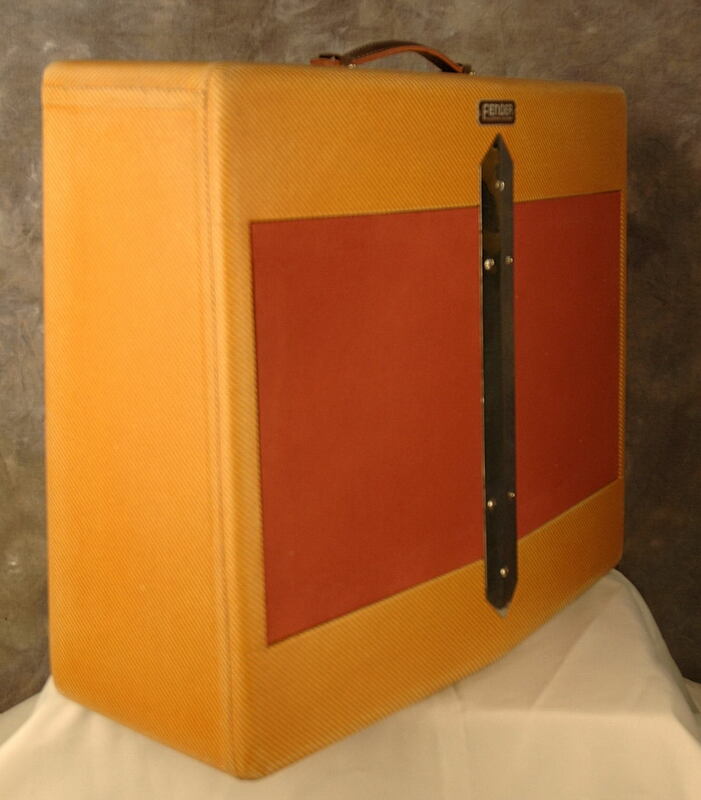 This amp has been restored with new professional re-tweed of the cabinet, new mohair grille cloth and metal “V” frontpiece, while retaining the original electronics and tubes. 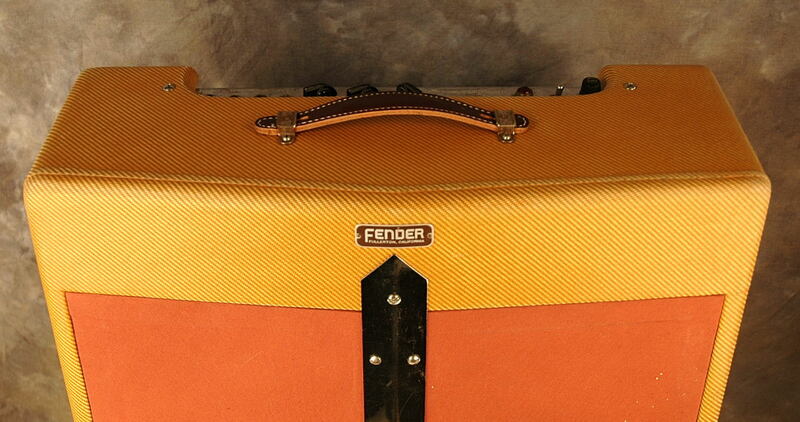 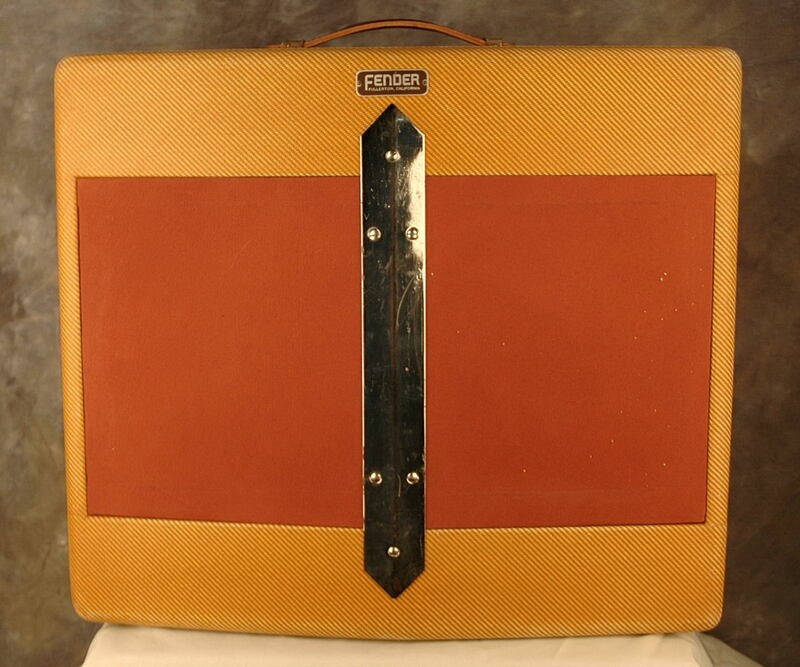 First named the “Dual Professional,” this amp was soon renamed the “Super Amp,” with two 10” silver Jensen speakers. 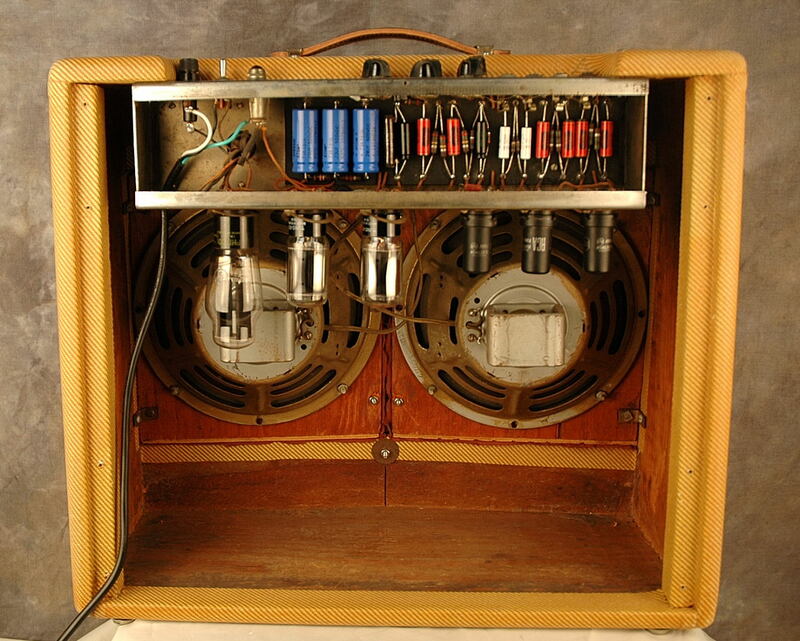 The Dual Professional was the first to have tweed covering, a top-mounted control panel and a tube chart, which would eventually become standard for all but the smallest amp models. 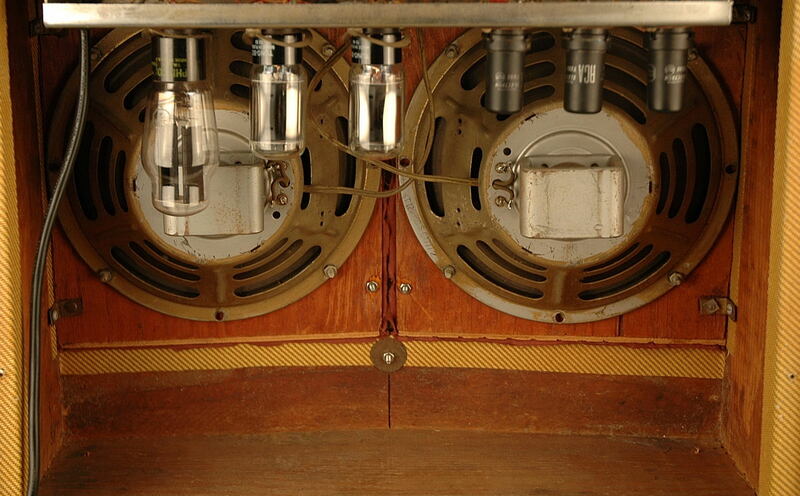 It was also the first to have two speakers.